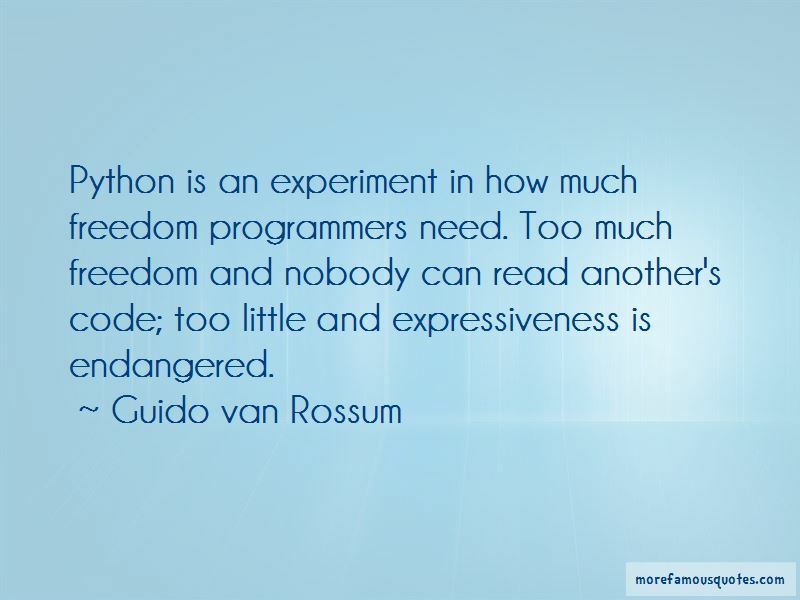 Enjoy the top 16 famous quotes, sayings and quotations by Guido Van Rossum. There was a project at Lawrence Livermore National Labs where many years ago they went down this path for scripting and controlling very large numerical calculations. 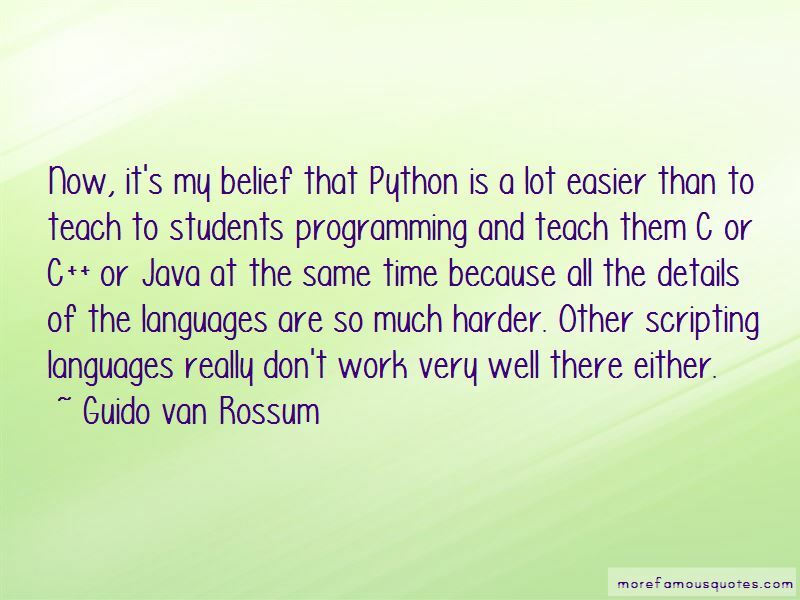 It's easy to make mistakes that only come out much later, after you've already implemented a lot of code. You'll realize Oh I should have used a different type of data structure. Start over from scratch. 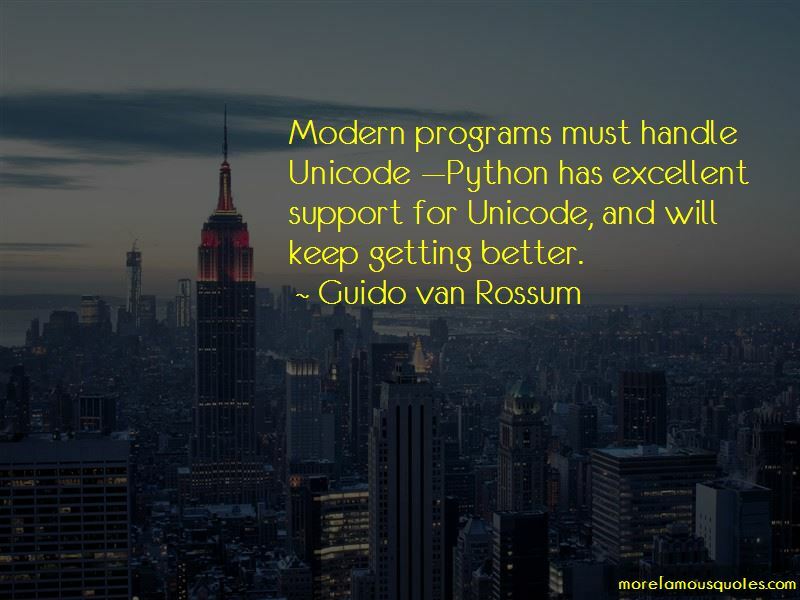 Want to see more pictures of Guido Van Rossum quotes? 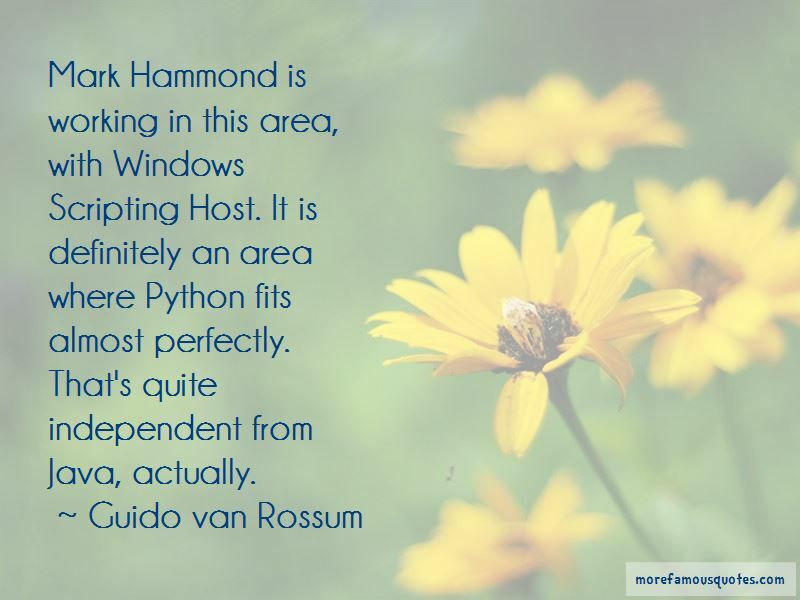 Click on image of Guido Van Rossum quotes to view full size.